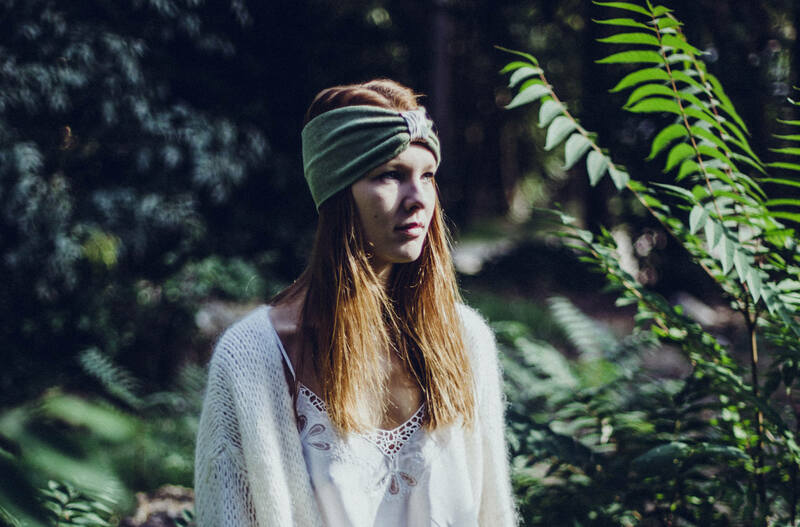 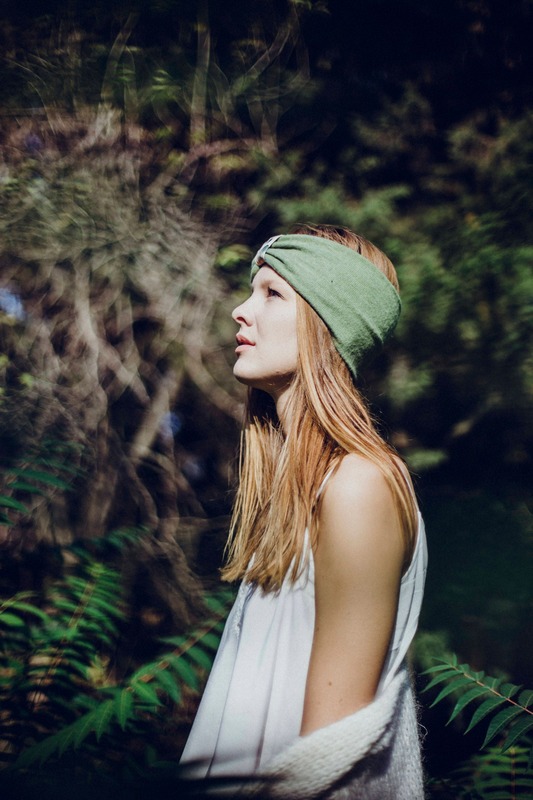 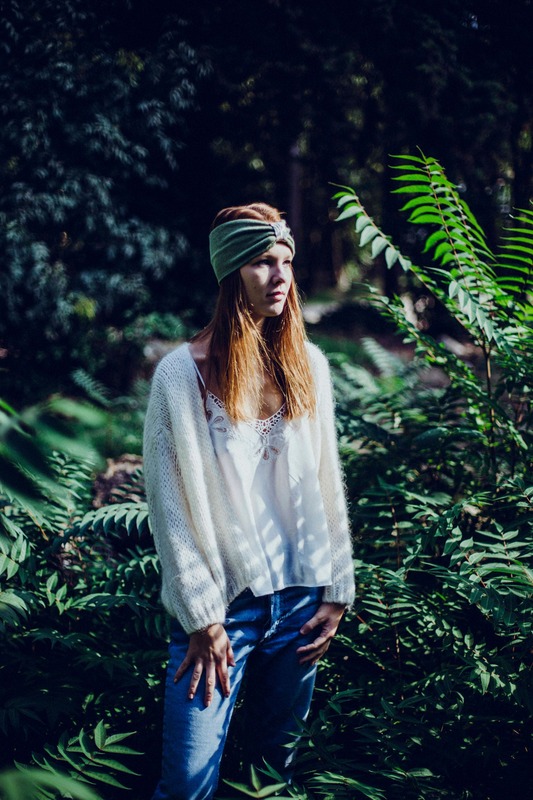 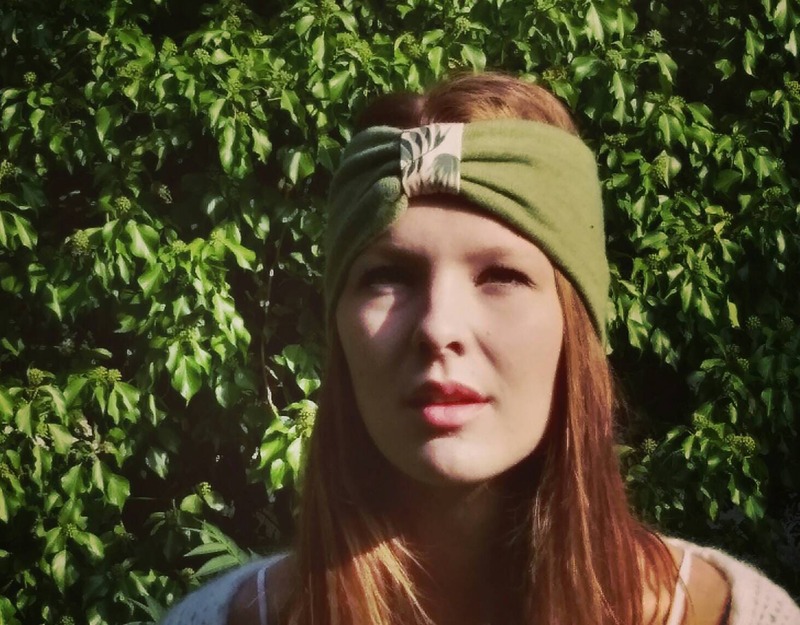 Pretty turban in light green wool, green almond. 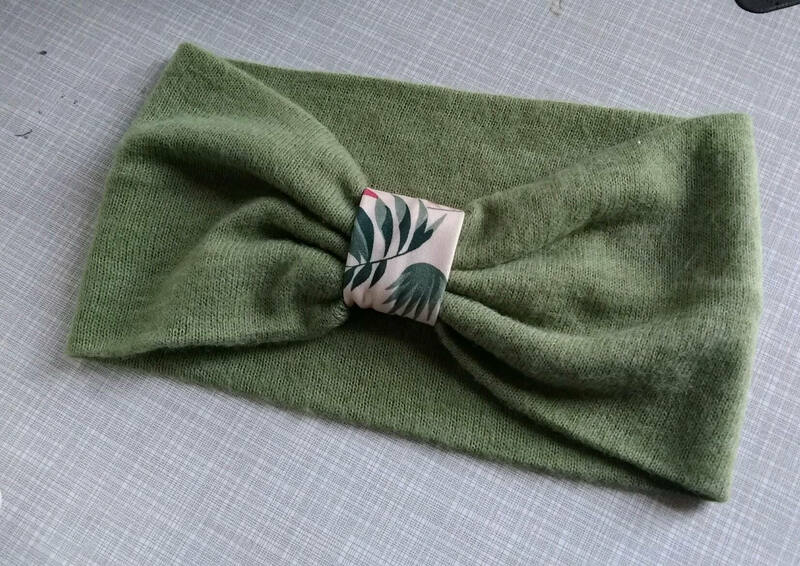 Decorative ring on the front in a cute vintage fabric. 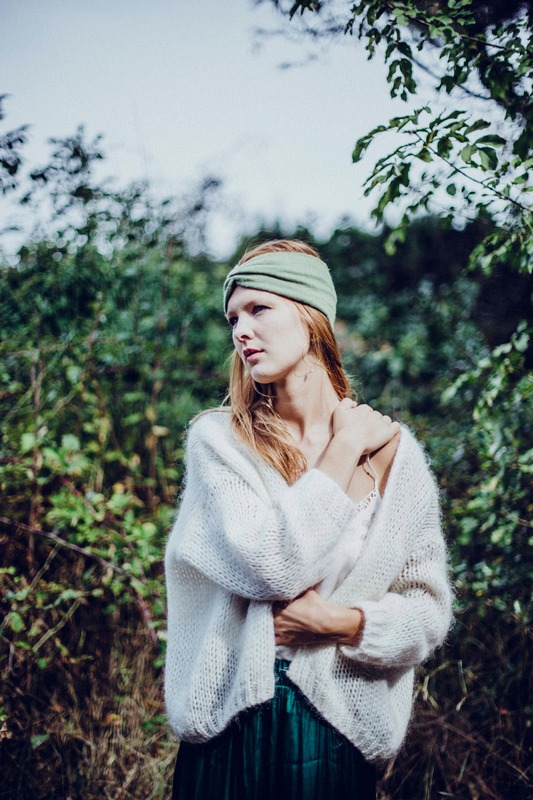 Knitted accessory to keep your head warm by staying chic and feminine this winter. 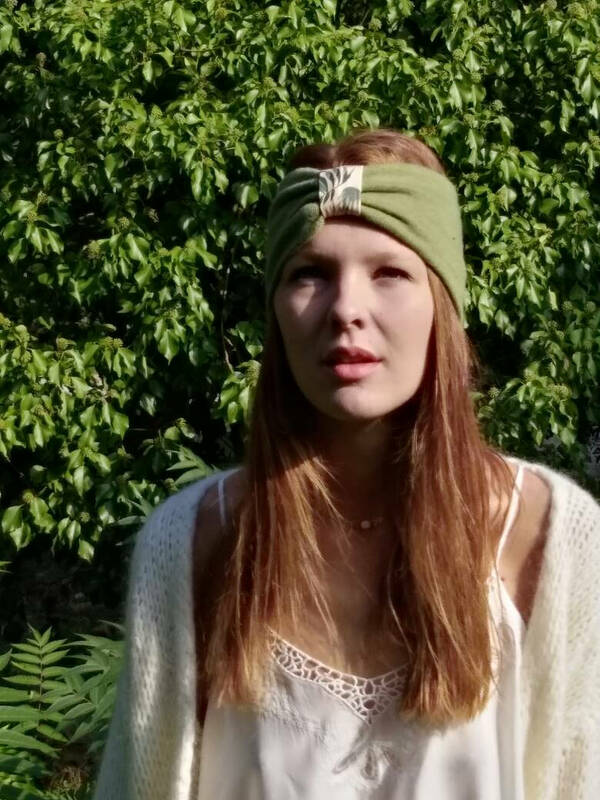 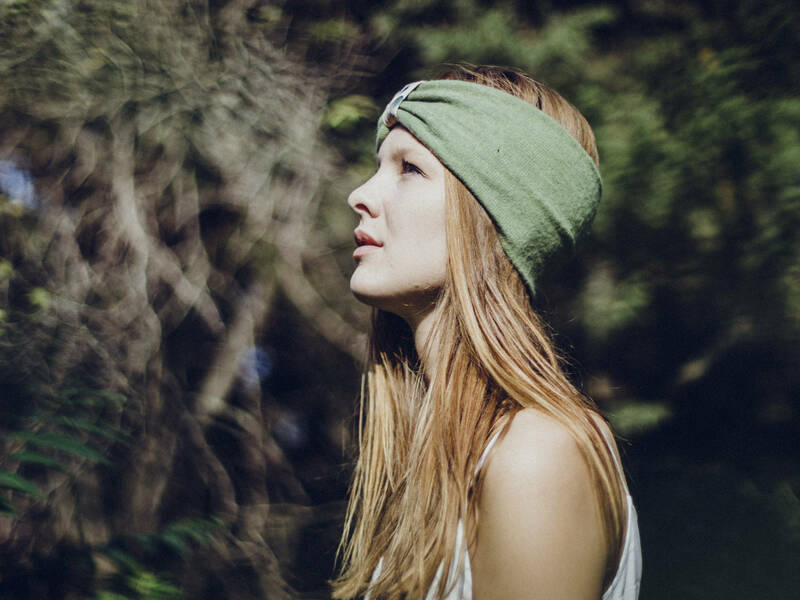 This headband replaces a cap in winter. 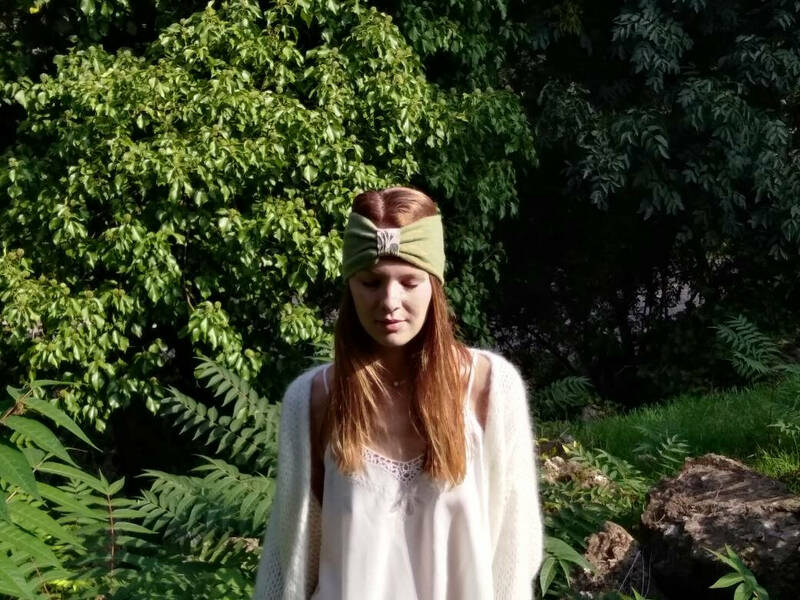 Headband large enough to cover yours ears.